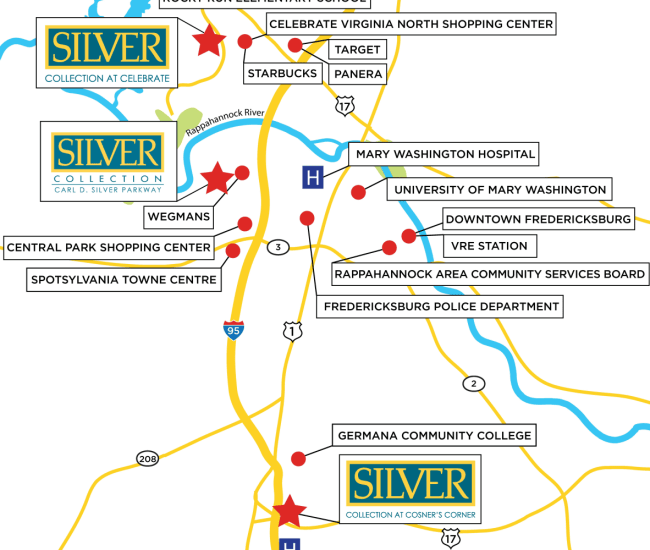 Thank you for your interest in Silver Collection at Carl D. Silver Parkway! You will find directions to our luxury resort-style apartments below. Please feel free to contact us or schedule a tour of our community.